We are Greenville’s first and only Kava Bar. 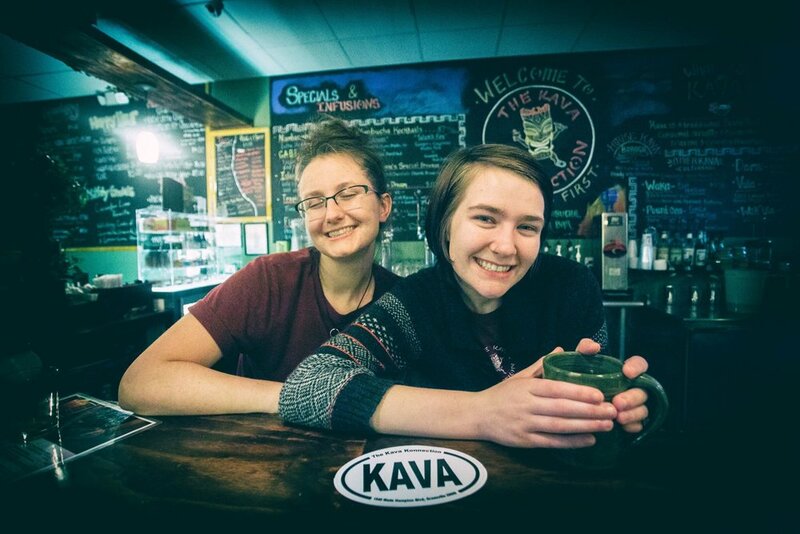 Established in 2015, The Kava Konnection was bred out of a need for community, connection, and an alcohol-free social night scene. With beverages ranging from kava, prepared in traditional South Pacific methods, to tasty kava based mocktails, draft kombucha and nitro coffee, and, last but not least, therapeutic herbal teas. We pride ourselves on being South Carolina’s only kava bar and on being one of the few non-alcoholic late night social establishments in the Upstate. Community is key here at The Kava Konnection and, in turn, we offer a wide variety of social-driven events including Open Mic Poetry, Adult Coloring Night, Yoga Night, Movie Night, and even “Kavaoke”. Whether it is your first time trying kava or you are a seasoned kava connoisseur, our “kavatenders” will ensure you have a wonderful experience. We can’t wait to have you visit and to see firsthand how kava is helping the Upstate relax one shell at a time! Open Mic Poetry. Easily one of our most popular events, and for a reason. New to kava and unsure where to start? We have you covered! Every first time visitor, whether you've had kava or not, will be greeted with a sample kava and an explanation on kava's therapeutic effects and history. From there, your kavatender will help direct you to the drink best suited for you while continuing to answer any further questions you may have.